Due to the highly regulated nature of air freight and shipping to and from Australia, the correct handling and completion of clearance documentation is vital to ensure that you do not incur heavy administrative penalties from both customs and container terminals. Tariff classifications, value declaration and duty management can create confusion and increase costs and customs and security initiatives have imposed new regulations on companies that make it more challenging than ever to trade internationally. With thorough Customs Tariff Audits, ASP Global can ensure that the appropriate documentation is filled out and the correct importing and exporting procedures are followed to minimize clearance delays. We take the time to speak with you directly, and will handle the preparation of documents, calculate payments and facilitate all correspondence between yourself and the appropriate government authorities; making Customs Clearance and Customs Tariff Consultancy easy. Flexible solutions help minimize data entry errors which can impede your shipment’s progress so our customs brokerage experts ensure compliant entries are produced time after time, moving your shipments through customs efficiently and minimizing delays. ASP Global is regularly consulted to offer Customs Tariff Consultancy and Customs Tariff Audits to enable correct importation of goods in a timely manner. 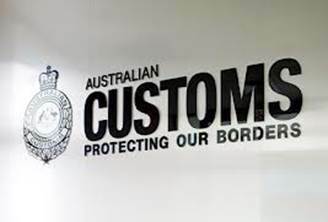 Our systems are electronically linked to both Australian Customs and Quarantine Services to instantly access duty rates, duty concessions and Quarantine requirements on behalf of our clients. We utilise document imaging which provides easy archiving and retrieval of important customs brokerage documents and minimizes the need for physical storage space.This combined with our clearance expertise ensures our clearance service is of the highest level.